Beautiful 4 Bedroom, 3 Bath Home in Cardinal Glen features soaring cathedral ceilings on the main level offering a feeling of classic warmth with colonial detailing and richness. The master bedroom offers a walk in closet with dressing area and a full bath. The family room on the lower level has a unique corner fireplace making it perfect for entertaining and will entice your friends to linger just a while longer. New sliding glass doors give access to the lovely deck for outdoor entertaining with a view of the .3 acre lot. The oversized garage is large enough to store all of your toys including a 22 boat. New HVAC system January 2019. 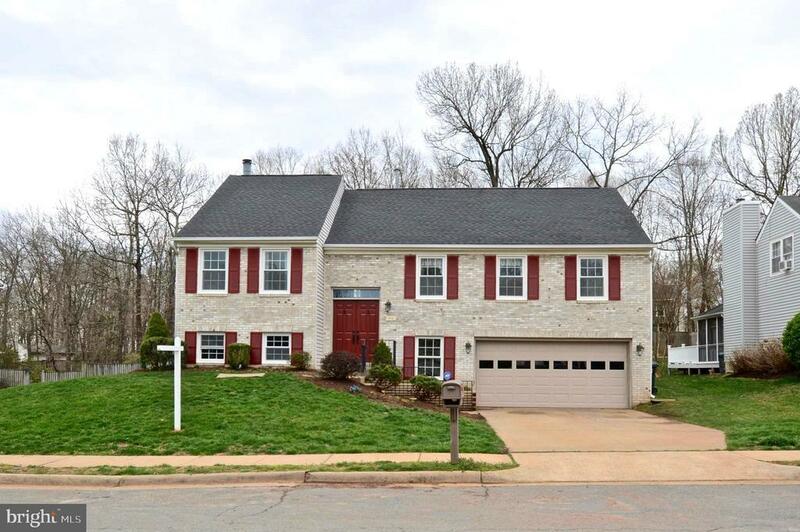 The neighborhood boasts easy access to Rt 7, Dulles Toll Road, Fairfax County Parkway and Rt 28 for easy commuting. Dulles Town Center and One Loudoun are only minutes away. Directions: From Tysons Corner: Rt 7 West to Loudoun County. Right on Cardinal Glen Circle. 1st left on Cardinal Glen Circle. House on Right. From Leesburg: Rt 7 East to Left on Cardinal Glen Circle. 1st Left on Cardinal Glen Circle. House on Right.